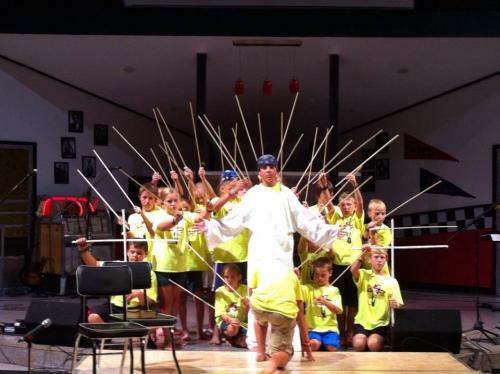 Our Music & Worship Ministry is made up of many talented people who come together to worship and serve God by singing, playing, signing, performing skits, using gloves, puppets, and sticks, and using multi-media. We want to sing for joy to the Lord and shout joyfully to the rock of our salvation just like Psalms 95:1 says! God has given the worship ministry the talent and ability to fulfill His purpose: to proclaim the power, presence, and the Word of God; to prepare the hearts of the people to receive Him. The Worship Choir is made up of people who like to sing and has a heart for reaching God's people. The requirements are to be at least in high school, to be faithful, dedicated, committed and really enjoy singing. They sing at both morning services on Sundays. Practice is on Sunday's immediately following the evening service until about 8 pm. They have helped cook, serve, and sang at the Little Rock Rescue Mission, sang at the McCain Mall in North Little Rock, and sang at the Beebe Nursing home. 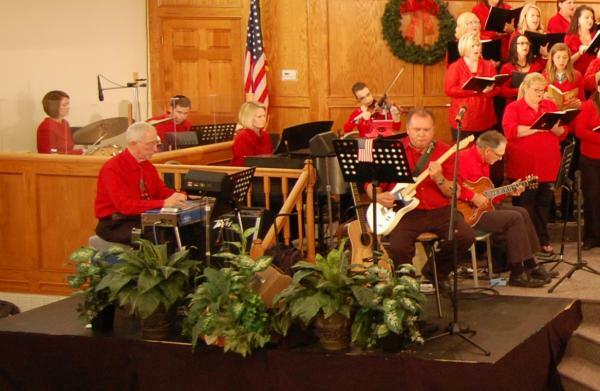 The Praise Band consists of Electric guitar, Steel guitar,Acostic guitar, piano,and drums. They help lead in all worship services on Sundays. They practice at 7 am on Sunday mornings and then at 5:15 pm on Sunday evenings. We could always use more wind instruments. Know Mercy is a 7th - 12th grade student arts ministry of Union Valley Baptist Church! The choir practices at 4:15 pm on Sunday afternoons, followed by Drama practice at 5 pm. Know Mercy is dedicated to spreading the Gospel throughout the US and beyond. Know Mercy will embark on a mission trip each summer to lead in worship and spread the good news of the Gospel! If you would like more info about the Know Mercy, please contact Casey Longing at refuge@uvbc.church or call the church office at 501-882-6189. 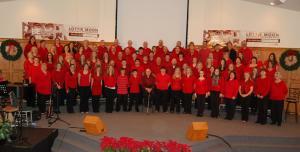 The Jubilee Choir consists of adults 55 years and older. 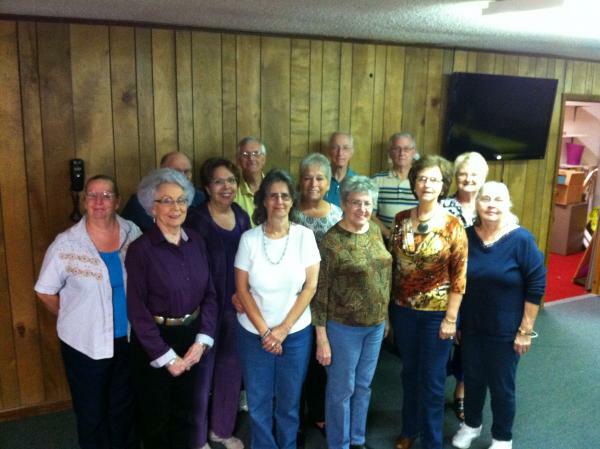 They meet on the second Monday of every month at 10 am, followed by a Senior Adult Luncheon at 11 am. They sing songs from their generation and also go to assisted living places and nursing homes to minister in song. 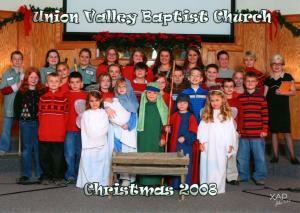 The Kids Choir is a group of 1st - 6th grade students of Union Valley Baptist Church. They meet in the fall to prepare a Christmas musical in December. When they do meet, they practice at 4:30 pm on Sunday afternoons. For more info, please contact David Griffin at david.j.griffin@us.army.mil or call the church office at 501-882-6189. More pics coming soon. 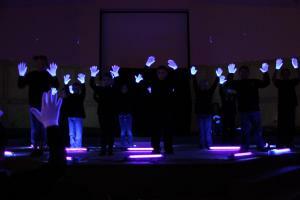 The sticks, gloves, and puppets ministry is made up of the children's ministry ages Kindergarten - 6th grade. 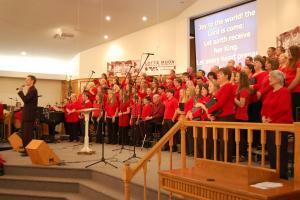 They have performed at various church's and also at Camp Siloam. They meet from January - August, every other month, at 5 pm on Sunday afternoons. If you would like more info contact the church office at 501-882-6189.